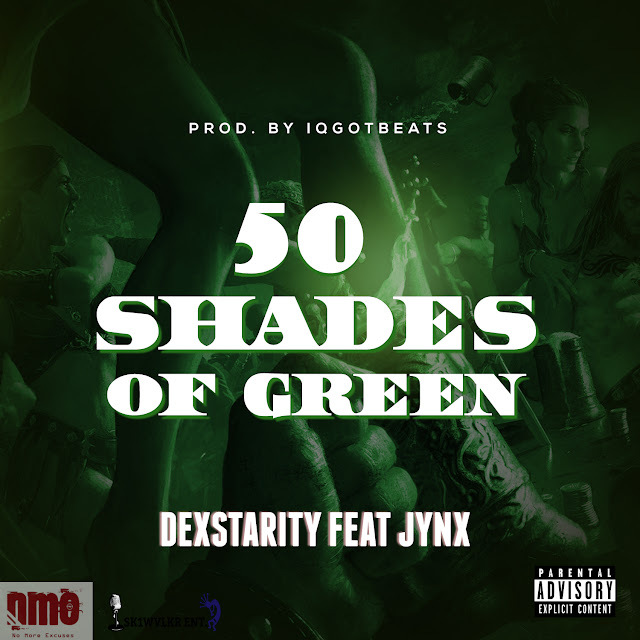 "I'm smoking 50 Shades of Green"
Smoke something with Dexstarity on his new banger, "50 Shades of Green". Dex creates a fun play off of the movie/book "50 Shades of Grey". The video displays a wild party night and tons of chronic smoke. "50 Shades of Green" features anther dope mc, Jynx and is produced by IQGotBeats. This serves as the 1st single off the upcoming mixtape "G.O.D" or (Geeked off Drug$).